Carrots are the most common vegetable all over the world. 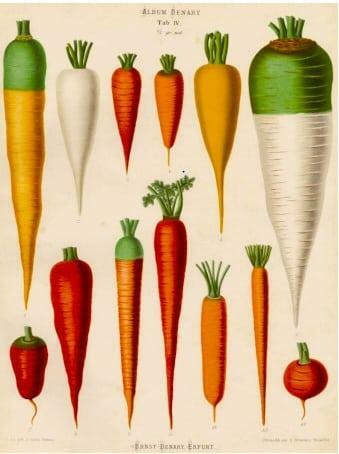 There are more than 700 carrot species. Let’s find out which one is the best carrot varieties for your garden depending on soil, season and environment. 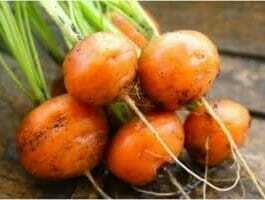 Having too many kinds, create an opportunity to grow carrots in different color and size. As well as doubt too. Actually, this generates confusion in my mind last year when I was about to start my first carrot farm. I was confused in: which carrot species should I grow? 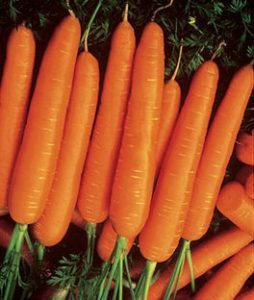 Does the soil is perfect to grow particular carrot varieties? Also, Farming Method wants to publish a post on Carrot Farming. Thus, I wanted to learn in details, because new farmers may get messy too. Note: Carrots have 5-6 types of roots and those different types of roots thrive in the different type of soil and environment. The answer was in different patterns. But there are some common names i.e. Autumn kings, types i.e. Nantes Type. People also mentioned different sizes, and which one they prefer on which seasons. After a short research on the internet, facebook group and the thing I learn from my friends. I divided them and put them into different sections and list so that a beginner farmer can Implement them. You can find the best carrot types for your garden depending on the soil you want them to grow. Remember it was not easy to collect so much data. So there is a chance, that I may or may not mention some popular varieties of carrots. But overall I tried to clarify the dependency of carrots. The carrots production is highly dependent on soil quality, weather and season and some other aspects. 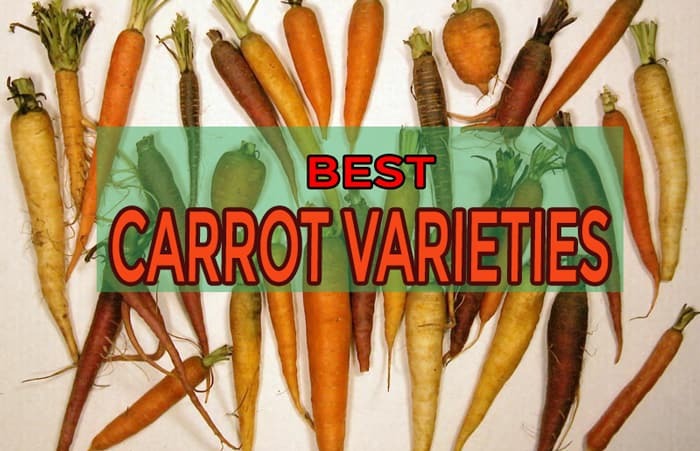 Here to Understand this, Read carefully throughout this is the list of best carrot varieties. As it is mentioned above that there are five main categories depending on soil, root types, planting seasons and weather. Sandy Loomy Soil- They can grow 90% of varieties. Rocky Soil- On different Stats of USA, UK, Europe, Australia, New Zealand and so on. Hard/heavy soil- This includes hard not cracked clay, Also includes Indian Territory Soils. Red and Black soils- African typical soil, found in Zimbabwe, Nigeria, South Africa and others. Those soil types are different from each other, some preserve water and nutrition at the surface. On the other hand, in some soil carrot roots have to travel several inches deep to get those nutrients. There’re several types of roots too. But this is very complicated. Depending on the soil you have to choose the species you want to grow. If I give you an example, you may understand the soil dependency. Smaller roots can grow loose soil. If you want to cultivate them in a pot or on your balcony, they are the preferable ones. Hard soil requires strong long roots. Because, if the roots cannot gather vitamins and water from the soil they can’t grow. Rocky s Red soil grows carrot types that are short and stout. 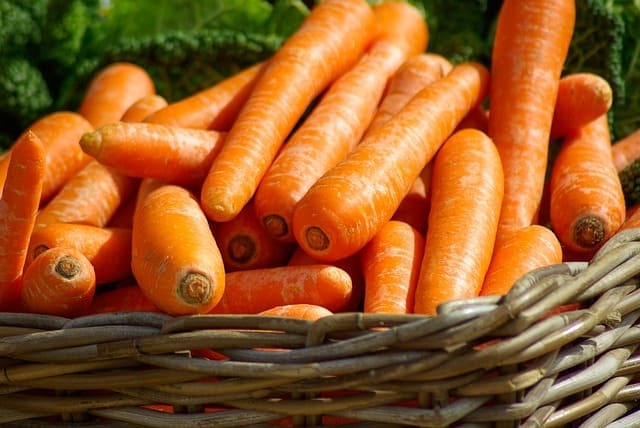 Here you will find the list of different kinds of carrots. Carrot Size: Cylindrical ,length 6 – 7″ inches, 1-2″ in diameter. Short Classification: Almost ideally cylindrical, the top to bottom round. It has sweet taste, nearly red meat, blah blah. Nantes type of carrot are larger but there are some other large types. Growing Periods: 60 days to 70 days long. Soil & Season: This produces stocky squarish roots into the real heavy soil where some longer tribe do not grow remarkably. 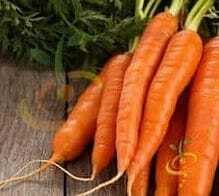 Carrot Size: half long carrot length is about 6 – 7 inches, 2 inches diameter. Conical shape, wider at the head than a narrow bottom. 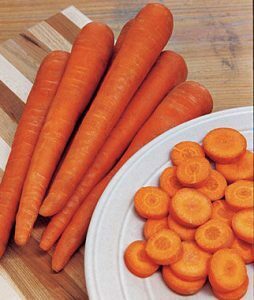 Short Classification: If you imagine a carrot the first picture that came to your mind is Denver carrots. It has the strong flavor. Best Varieties: Danvers 126, Heirloom Carrot. Growing Periods: About 70 days. Carrot Size: Short, Small and round shape. About 2-3 inches long and have the same diameter. Short Classification: Farmers grow them as an early crop. Basically, this is a short time crop. Often cultivated with Baby Corn, Cabbage, Onions, and Chilies. Best Varieties: There are some modernized/improved types early crops denominated as “Early French Frame Lisa” “Rondo”, “Parmex” and “Kundulus”. Growing Periods: About 40 to 50 days. Soil and Season: The old and common hard soil carrots varieties. They are extremely dependent on weather. Planting season is winter if there is no frost, spring for the frosty area. Carrot Size: 4 1/2 – 5 1/2 inches long and in a conical shape. 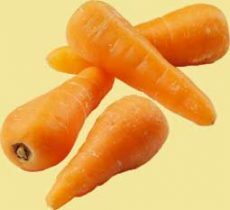 Short Description: Before Nantes types of carrots are engineered, this is the most common varieties all over the world. Chantenay types are short and stout. Best Varieties: Regular races for commercial producers “Royal”, “Supreme” and “Chantenay Red Cored”. etc. Growing Periods: About 60 to 70 days. Soil and Season: This Amsterdam species is durable and faster growing. They even grow in a pot. Carrot Size: Small, slim, carrots, Less than 3 inches. Short Description: Often they are raized in the in the pot or small gardens. Sweet and cute and They are quick growing that’s why it can be used as early crops. Best Varieties: Popular varieties- “Souko”,”Amsterdam Forcing”, “Prim F1″,”Amsterdam Sweetheart”. Growing Periods: About 35 to 50 days. Soil and Season: This Imperator type is durable and grows sandy loam soil. Grow normally under a variety of temperature. Normal seed sowing starts in late May. For a fall crop, sowings start in late July. Carrot Size: Less than 7-10 inches. Smooth-skinned, slender roots, small core. 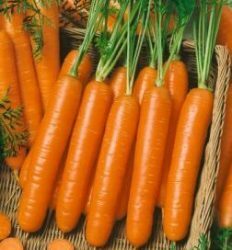 Short Description: They are the most common carrot kinds all over the world. Commercial farming friendly kinds & suitable strong tops allow mechanical harvesting. Best Varieties: The popular ones areHeritage, Autumn King, Imperator 58, Nelson Nogales, Atomic Res, Orangette Orlando Gold, Premium 80, Sunrise, Sweetness, Bejo etc. Growing Periods: About 70 to 75 days. But for some species, it is about 60 days. Commercial varieties are more immune to pests and diseases. The best carrots varieties are engineered to give vast harvests. And un debatably they are the best carrot varieties. These commercial carrots varieties are profitable. The production is high and low-cost farming. Storable – Keep the same taste and color for a long time. Here, I include some species, that are proven as a commercially farmable and attractive. Considered as the largest of carrots (Imperator type) but need slightly more time to get mature. It is a remarkably healthful plus vigorous carrot with the potential to be the greatest yielding of all. It grows in loose loam soil but it does not grow in either cold or hard soil. The best varieties “Autumn King Vita Longa”. Quite extended cylindrical carrots which are actually late crop but highly profitable. Suggested species – Bangor F1, Bericulum Berjo, Cardinal F1, Carotene 200* and Camberley. Red-Cored Chaney is common, 7 inches long 2-inch thick. The best part of them that, they remain sweet and tasty even they been stored/refrigerated. 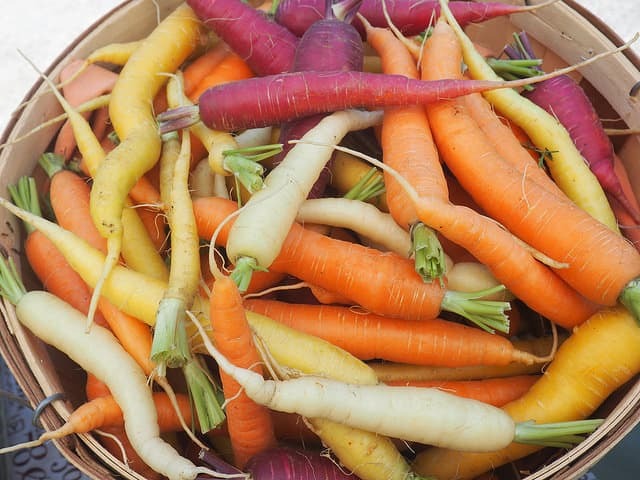 Color is the most effective aspect of heirloom carrots. They can be found in different colors i.e white, orange, yellow, red and purple. Best Heirloom Species are Lunar White, Cosmic Purple, and Atomic Red. Other profitable kinds are Swamp King (late Spring), Paris Market (Short rooted), Bolero (Nantes), Spring Market Improved (New Zealand, Autumn sowing), and Viva La France Hybrid. There are some special also some weird types that farmers cultivate in there garden. Especially small and container/ pot grower carrots do not have demand on the local market. But farmers tend to grow them organically in their farm. there are some special and weird carrot species. Early carrots have normally a common name structure of F1. If you find ” F1″ in any species name, They are likely to be an early crop. The primary goal is to producing carrot to sell them or eat. Early carrots can be cultivated at most of the countries in the world. The top rated one is Mokum(F1)- pencil carrots, Suko (early summer market-friendly carrot) Napoli F1, Yaya F1, Caracas, and Nelson etc. Nowadays organic foods have a huge demand in developed countries. In this natural non-chemical farming, varieties choosing is a very important aspect. Learn more at: start organic vegetable farming. Resistance to pests and carrot virus. Healthy, taste and highly yieldable. Here I suggest these carrots for sowing: Topweight (best virus and pest immunity species in the world), Bolero, Juwarot (Healthiest Carrot), Gold Nugget, and Yellowstone. Wanganui Giant which originated in New Zealand. This demands deep loose soil with not too much fertilizer. The Amsterdam and Nantes first growing. Planting – Harvesting Period is shorter than others. I.e Bolero and Ingot. Farmers like to grow crops and vegetables quickly. Nantes are hybrid, engineered from Chantenay. Other mentionable ones are- Suko, Redland (First Grower), Majestic Red (Imperator), Baby Bell (Small), King Chantenay and Guerande (Both are early stump rooted carrot). There are some special varieties which can grow in the snow, these are the fast developing species usually maintain sufficient flavor and can be frozen whole. The best kinds are King Chantenay, Corrie, Barbados, Onward (Giant Carrot), Guerande, and Gringo. The Rondo or Suko (Market Friendly) kinds are well known to grow in Containers. They will grow in posts which is at least 12 inches deep. In order to keep them moist use compost. Best “baby carrot” varieties or best carrot varieties for canning such as Thumbelina, f1 carrot, Oxheart Orbit, Little Finger and Parmex. The Indigo, Purple Dragon, old Altrincham( neck exposed to light turns purple color), Pakistani (Also available RED, Yellow, and Orange) Cosmic Purple, Maroon, and Purple Haze are the best purple carrot varieties. This a commercial term which for carrot seeds. Actually, they combine different color of carrots seed in a single pack. There is a huge benefit of cultivating multicolor vegetable, but I have found that multicolor variations do not taste as sweet as others. Black carrots originate from turkey. They are mostly cultivated in Afganistan, Turkey, India, Pakistan and the middle east. The common usage of black carrots in SALAD, and Drinks. Best Species of Black Carrots are Black Nebula, Pusa Asita Black etc. Final Words: Hope I have completed all major problematic topics. If you need a further explanation please leave a comment. If you find this post helpful please share this with your friends using social icons below. Now, Tell me which one you will grow this year? Every weekend I used to visit this site, as I want enjoyment, for the reason that is this website conations are really good. Thanks for such a compliment. Every weekend I used to visit this site, as I want to learn, for the reason I have Bookmarked this website because of information too useful.